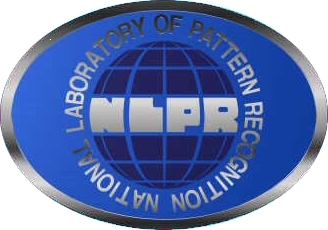 The National Laboratory of Pattern Recognition (NLPR), affiliated with the Chinese Academy of Sciences’ Institute of Automation (CASIA), Beijing, China, was founded in 1987 to become one of the first state key laboratories in China. The founding director was Professor Songde Ma, and the current director is Professor Tieniu Tan. The mission of the NLPR is to conduct cutting-edge research in the broad area of pattern recognition, to develop key technologies, and to train postgraduate students. Currently (as of June 2007), the NLPR has 35 staff members, including 30 staff researchers. In addition, it has 130 PhD students, 92 master students, 10 postdoctoral fellows, and about 40 visiting scholars from both China and overseas. As a state key laboratory, the NLPR receives regular funds from various departments of the Chinese government, primarily, the Ministry of Science and Technology and the Chinese Academy of Sciences (CAS). It also attracts funds through R&D projects from many other public sources, such as the National Natural Science Foundation of China (NSFC), the National Hi-Tech R&D Program (the 863 Program), and the National Key Fundamental Research Program (the 973 Program). Such government-sponsored projects account for about 90% of funds, with the remaining 10% from the industry. The research activities at the NLPR are performed in four groups: pattern recognition and its cognitive mechanisms (PRCM), visual information processing, speech and language technology, and biometric information processing. The PRCM group is also part of LIAMA (the Sino-French Laboratory for Computer Science, Automation and Applied Mathematics), which was founded in 1997 and is jointly funded by the CAS, China and INRIA, France. The LIAMA regularly receives visiting researchers and students from France and possibly, all other countries, to perform collaborative research. The research themes of the PRCM group include the fundamental issues of pattern recognition and machine learning, brain imaging and cognitive disorders, computer graphics, as well as the applications to eco-informatics, remote sensing images, document analysis, virtual reality, and so on. The common interest in machine learning (statistical learning, ensemble, Bayesian networks, etc.) and the interaction between pattern recognition and cognition are the main features of this group. On one hand, advanced pattern recognition techniques can play an essential role in the study of cognitive disorders based on brain imaging, especially in finding biomarkers for early prediction and diagnosis of various cognitive disorders. On the other hand, the findings in brain imaging and cognitive disorders can stimulate innovation in new pattern recognition methods. Computer vision has been a major theme of the NLPR since its founding, and is a research focus in the visual information processing group. Major research activities include: (1) new computational theories and methods of vision based on human perception and cognition, i.e. physiology based disparity modeling and its application in robotics; (2) fast and robust algorithms for motion detection and 3D reconstruction, including image matching, camera calibration, visual metrology, and vision based quality inspection; (3) content-based multimedia retrieval and particularly its application to sports field; (4) vision-based prototype systems development, including fast motion capture system, traffic accidents analysis system, and so on. The research interests of the speech and language group include natural language parsing, machine translation, information extraction, speech recognition and synthesis, computational auditory scene analysis, affective computing, and multi-modal human-computer interaction. The study of principled methods (such as semantic modeling, discriminative learning and weakly-supervised learning of HMMs) and the development of prototype systems are seriously considered. This group leads the Chinese Linguistic Data Consortium, which plays a crucial role in sharing Chinese language corpora for promoting research. The biometric information processing group, also called the Center for Biometrics and Security Research (CBSR), was formed in 2003. It aims to conduct research on cutting-edge biometrics and intelligent video surveillance technologies and applications, and to develop biometric standards, databases and protocols for biometric product testing and system evaluation. Major research activities include: (1) applied basic research in image pattern recognition, including statistical learning, feature extraction, and multi-modal fusion; (2) biometrics, including face, iris, fingerprint, palmprint, gait, handwriting, etc. ; (3) video analysis for intelligent surveillance; (4) webpage filtering and information security. A comprehensive database of multi-modal biometrics is publicly available. Particularly, the CASIA iris database released by the CBSR has received tremendous attention.